Sunlight and Shadow on Brothers Water on a blustery October day. The fell on the right in bright sunlight is Middle Fell. 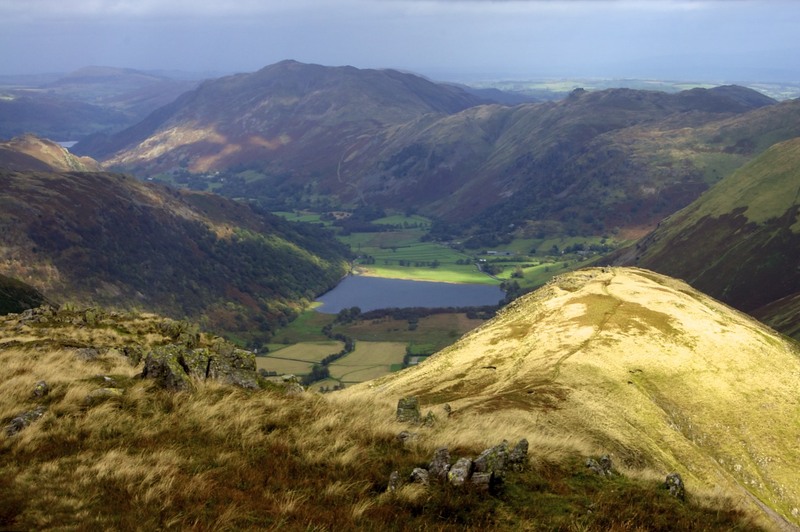 A small part of Ullswater can be seen near the top left.